American Sign Language jewelry is as informational and educational as it is beautiful. 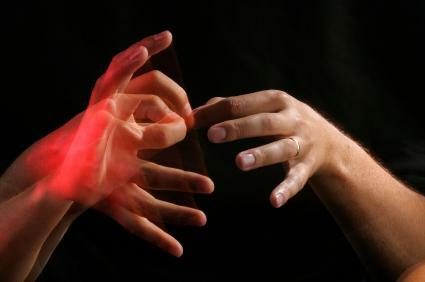 American Sign Language (ASL) is a complete, complex language that employs signs made with the hands and other movements, including facial expressions and postures of the body. It is the first language of many deaf North Americans, and one of several communication options available to deaf people. ASL is said to be the fourth most commonly used language in the United States. American Sign Language jewelry often features charms that display both the hand sign and its alphabetical equivalent providing a teaching tool and a wonderful gift for people who sign or who are new to signing. It is also highly symbolic and honors the beauty of this special language and those people in your life who speak the language. The I love you hand sign is perhaps the most globally known of all signs and making a gorgeous bracelet filled with pewter or sterling silver charms and crystal beads with matching earrings is a simple and fun project. I love you sterling silver or pewter charms. Jewelry components may be purchased at local jewelry retailers or online at Fire Mountain Gems, Rio Grande, and countless other online jewelry suppliers, some of which offer wholesale pricing. Fire Mountain Gems also offers free instructional videos for finishing memory wire with beads or loops. You may use any needle nose pliers or purchase inexpensive jewelry pliers designed for the job from the jewelry supplier. Choose one or more coils of memory wire depending on whether you would like a one row bracelet or a bold cuff. Simply make a loop in one end of the memory wire or glue an end bead on one end of the memory wire coil and let dry for five minutes. When dry, slide on your hand signs interspersed with colorful sparkling crystal beads, then finish the other end of the memory wire with another loop or end bead. A one row bracelet is subtly beautiful and two or three or more rows of beads and I love you signs make for a dramatic cuff that will add a dash of glamour to any outfit. Make the earrings using whichever length eye pin you desire and sterling silver or surgical steel French ear wires or leverback earring findings. Thread on as many beads as you need to fill the eye pin in a color order which echoes the design of your bracelet. Using a jump ring or 'o' ring, attach the I love you charm to the loop in the eye pin on each earring. Then attach the earring wire to the top with another formed loop and use this instructional video to learn how to form loops. Charms can be used to make your own jewelry or add to an existing charm bracelet. This handsome good luck sign language charm is made of 14 karat yellow gold and comes gift boxed. ALS Jewelry has been making jewelry for the deaf for 25 years. Their jewelry gifts for those who sign and anyone who loves American Sign Language such as the deaf and hard of hearing and their families, American Sign Language students, teachers, and interpreters. This online store features necklaces, rings, pendants, charms, bracelets, and pins handcrafted in sterling silver, 14 karat gold, gold-plated, and silver-plated versions in a range of prices. Whether you make it yourself or buy it, sign language jewelry is an interesting and thoughtful type of jewelry.